We manufacture high quality High Tensile Nuts for our customers using premium quality mild steel and high tensile steel. This makes them highly durable and reliable in their respective areas of application. With the valuable assistance of skilled team of professionals, we are engaged in offering an extensive range of high-quality Tensile Nuts. We provide a wide range of ASTM A 194 Grade 2H nuts. These high Tensile nuts are made using quality tested materials and can easily withstand excessive wear and tear. UNC 1/2" 5/8' 3/4" 7/8" 1" to 3"
We offer a range of High Tensile Nuts. Having a high tensile strength, these nuts are made using high grade raw materials. 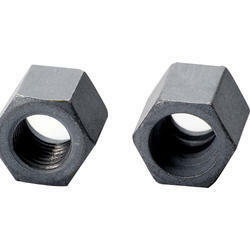 Appreciated for their durability, these nuts are corrosion resistant, precisely dimensioned, and reliable as well. 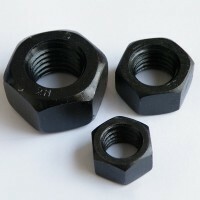 These high tensile nuts are able to withstand different weather conditions. We are Offering technically advanced range of All Grades of High Tensile Nuts, Nylock Nuts, Castle Nuts, Square Nuts, Hex Nuts, and more. Backed ourselves with sound amenities and talented personnel, we have emerged as one of the leading manufacturers of High Tensile Hex Nuts.